This is non-fiction, but still worth the share. 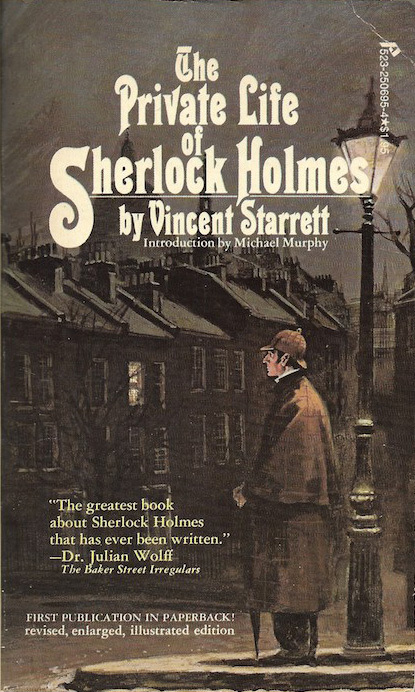 This is the 1975 paperback edition of Vincent Starrett's classic study of Sherlock Holmes with an introduction by Michael Murphy. This work has long been out of print. In fact, those few copies found in the last decade have often brought prices usually attached to rare books and curiosa. The original edition was first published by Macmillian in 1933. Mr. Starrett revised and enlarged the work for a University of Chicago edition in 1960. This is the first paperback edition. Throughout the world this book is still recognized as the definitive study of Sherlock Holmes.